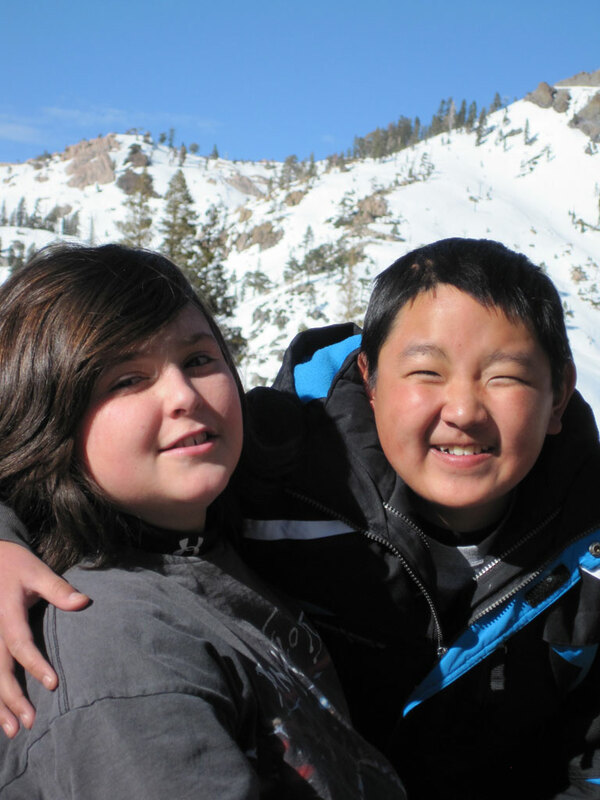 On January 22 and 23, BORP Junior Adventures participants traveled to Alpine Meadows Ski Resort to spend some time on the slopes. 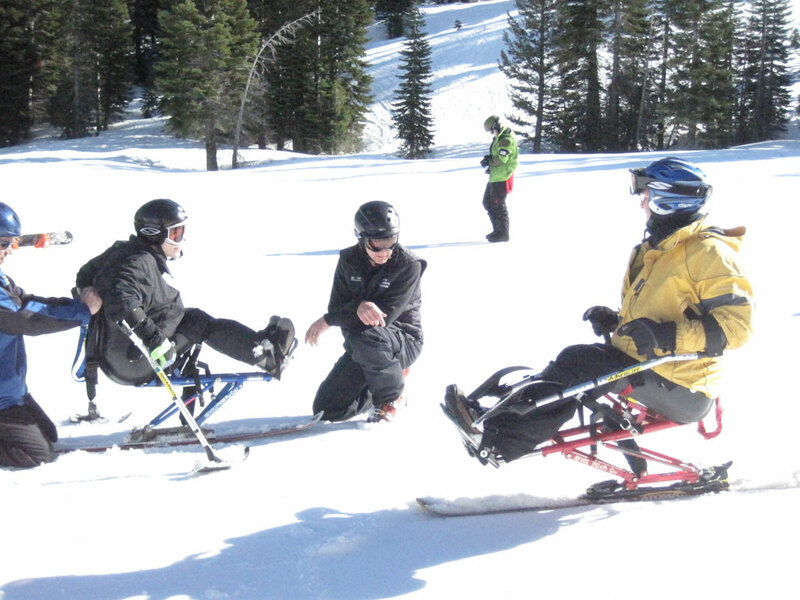 Disabled Sports Far West provided instructors, a 2.5 hour lesson and equipment for each BORP participant. This organization does an excellent job understanding the needs of the population, making everyone feel safe and comfortable, and ensuring a good time is had by all. 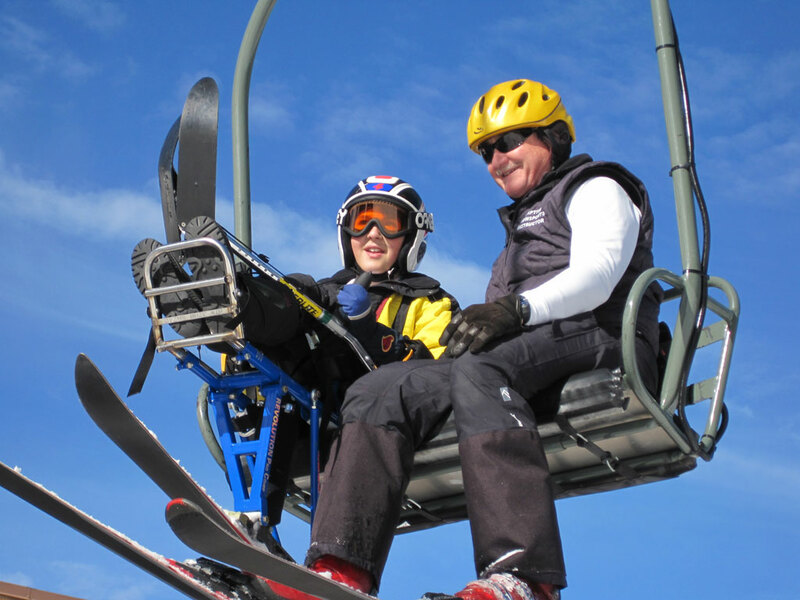 Eight BORP youth took lessons and climbed the slopes, while most of the parents spent time either skiing or being paparazzi for the youth. 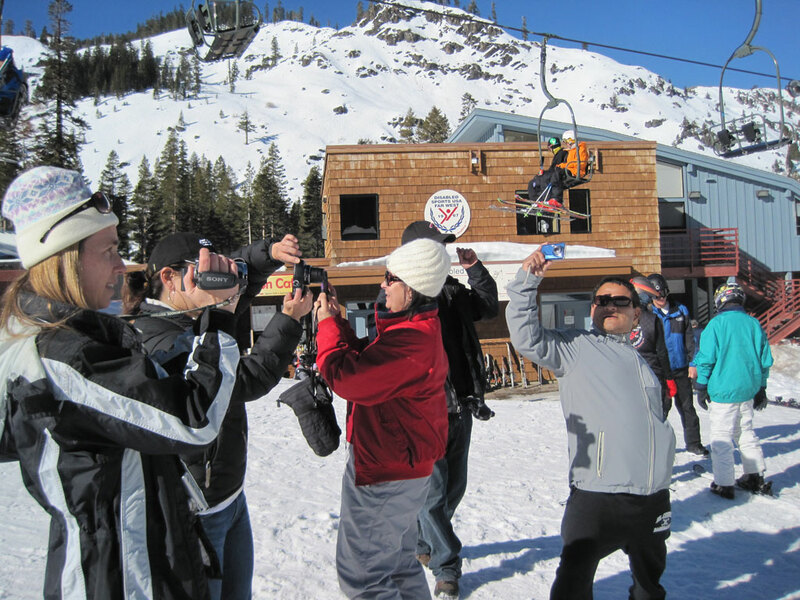 The day was sunny and beautiful, a perfect way for a first-timer to experience the Lake Tahoe area. This was a weekend of learning and excitement for everyone involved. 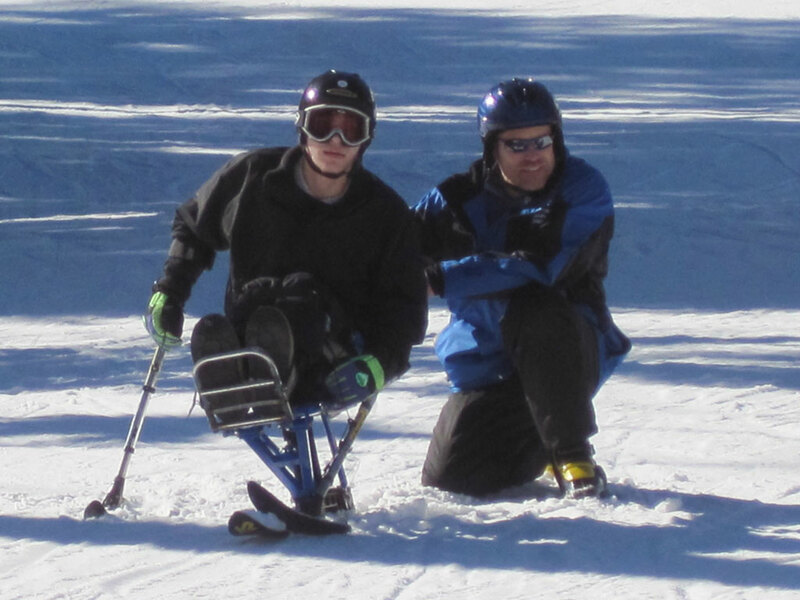 Depending on one’s ability and strength, one was able to use a sit mono-ski, a sit bi-ski, or standing skis with supports. With experience and increased comfort, one could move from a bi-ski to a mono-ski, as some of our youth did. By the end of each lesson, BORP youth were smiling and excited to go back for more. And they will go back, on March 20th! The Bombers played phenomenal defense throughout the day on Sunday January 23rd beating both the San Jose Steamrollers Express and the Fresno Ghostriderz in back-to-back nail biters at the James Kenney campus in Berkeley. The Bombers veteran player Emile Perry scored 14 minutes into the first half pushing the ball into the near post as both teams scrambled for control in front of the Steamrollers goal. The Bombers did not score any more in that game but the one goal was enough as the team displayed their outstanding defensive abilities for the next 26 minutes of play. Keepers Luis Campos and “Hong” Leoang stopped multiple scoring opportunities as the Steamrollers fought to battle back. Milo Balcziunas, Tyrone Cobb, Jessica Roeckl-Navazio, Eddie Contreras and Alexa McBride all contributed to the defense, keeping the Steamrollers scoreless throughout the game. Redemption was the name of the game as the reconstituted Bombers (combined Hard Drivers/Bombers squad) faced off against the Ghostriderz, a team that had spanked the Hard Drivers 8-0 in their last match up and had been defeated by the Bombers 3-0. The Bombers pulled out a 1-0 win over the Ghostriderz this time with the game scoreless through the first half of play. Once again Emile Perry was able to find the goal with just six minutes left in regulation play. Both teams played terrific defense but the Bombers were able to take advantage of the meager scoring opportunities while the Ghostriderz could not. The next power soccer games are February 12th with the Earthquakes playing in Hollister and the Crushers and Bombers having an intrasquad matchup at James Kenney. 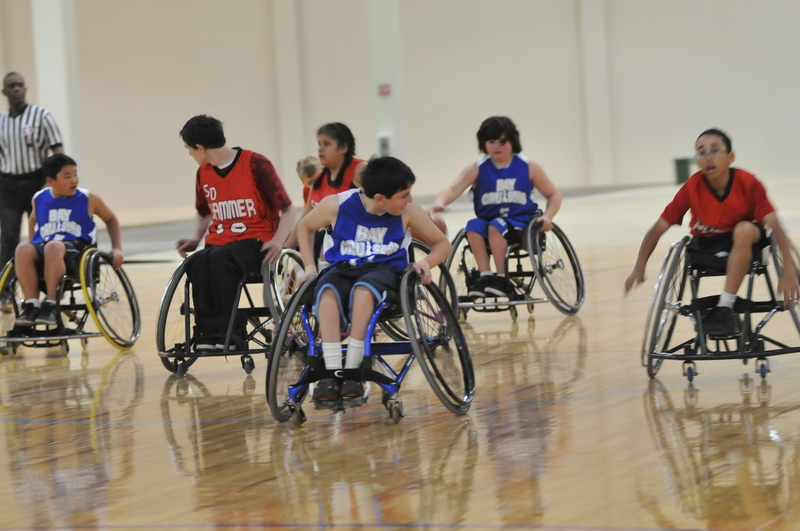 Go BORP Power Soccer Teams!!! 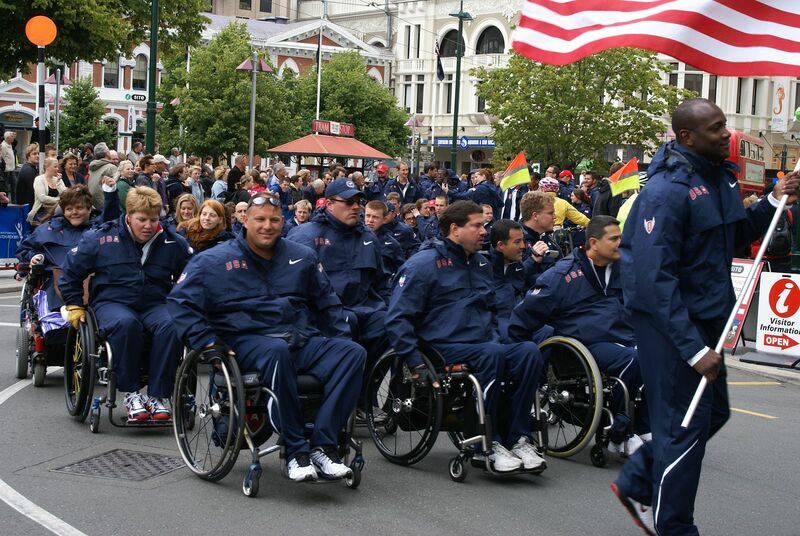 Sam just returned from New Zealand where he competed as one of 50 athletes on the US Paralympic World Championship team. 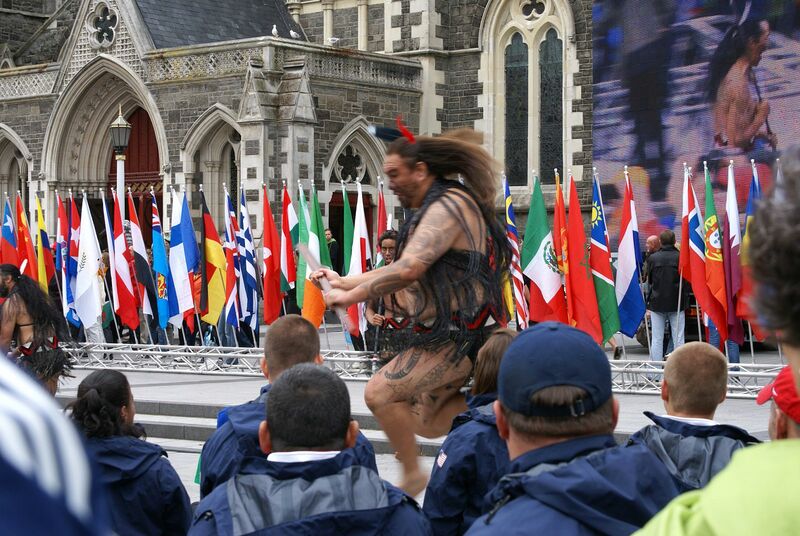 Over 1000 athletes from 70 countries competed in Christchurch January 22-30, 2011. 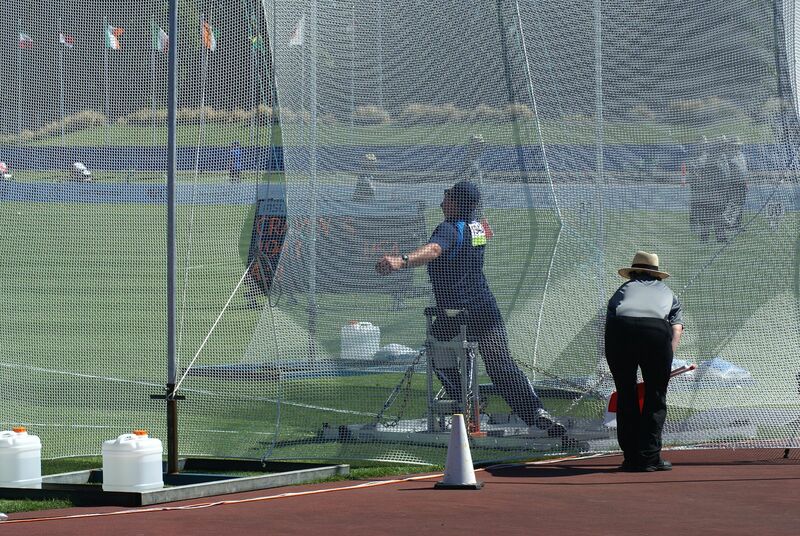 Sam made the finals in his event and is now ranked fifth in the world in the F34 class for shot put. He did not throw his best, however, and is looking forward to improving his competition performance in the upcoming year. Photos can be seen at http://www.usatfteam.shutterfly.com/. Sam is in the opening ceremonies and competing Day 1 afternoon and Day 3 afternoon in Christchurch. There are a few photos of him in the “Aussie competition”, as well. The team first travelled to Sydney, Australia, where they stayed for about two weeks. They took one day to sight see and visit the Australian museum and Wildlife Refuge but most of the time was spent getting used to the time zone and training in Sydney Olympic Park. They had a practice meet before they left. Traveling was grueling. Luggage and throwing chairs had to be down in the lobby the night before. Athletes had to be in the lobby on travel mornings at three a.m. most of the time. At the airports the athletes had to tote their own luggage from baggage claim to the waiting vans and then the coaches broke down the wheelchairs and loaded them. When the wheelchairs came off the vans at the hotel the chairs were in one heap and the wheels were in another. Luckily, Sam had marked the axles of his wheels and various parts of his chair with his name as the pre-trip packet had instructed. He was able to get his equipment relatively quickly upon arrival. Australia and New Zealand are on the other side of the International Date Line so Sam lost a day during the 14 hour flight. He spoke to his family and friends in California every once in awhile on Skype with a few text messages back and forth. When he called from Australia on what was Sunday night for him, it was Saturday night, 4 hours later in California. Its also the opposite season. While we were having all this cold weather here, it was summer there. On January 19 the team traveled from Sydney to Christchurch, New Zealand. It was raining off and on but mostly sunny for most of the two weeks they spent in Christchurch. They spent the days training with team meetings each night at 9pm. Christchurch is a small town much like the Union Square area of San Francisco and Sam was able to get out and see a bit of it. It was easy to roll around with little shops along the streets. The US team was the second largest team. China sent 100 athletes. 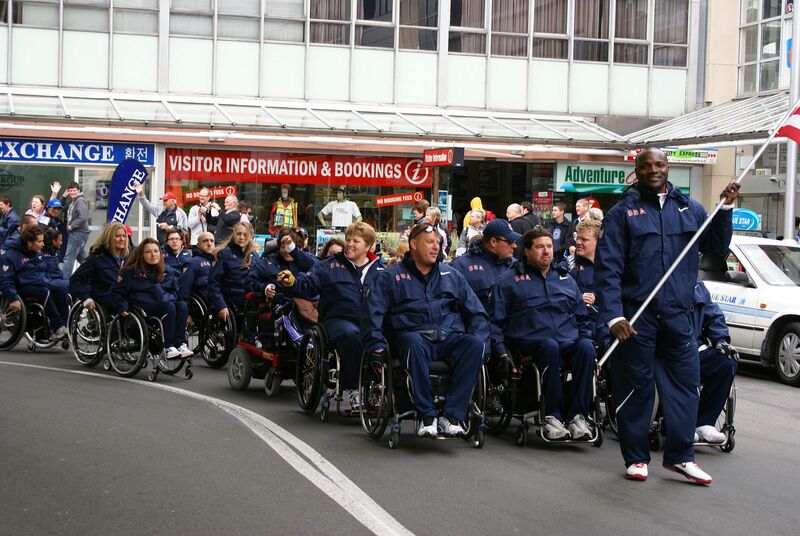 Athletes and coaches from many different countries shared the Rydges Hotel and the transportation from the hotel to the Queen Elizabeth II Park Competition Facility, (QEII). Each team had a designated time to train but competition days were hectic with some competition for space on the buses. Opening Ceremonies on January 22 included a parade through the downtown area with a performance by the Mau’ri natives on the steps of the Cathedral. Denis Ogbe, an African-born, naturalized American Citizen, carried the flag and walked at the front of the US delegation with the team rolling/walking behind. The whole town turned out, applauding as the athletes moved through the streets to the town square. It was very exciting with the flags from all the different countries flying on poles along the top step. The 1000 athletes watched as the Mau’ri natives danced and sang. The warriors did a war chant and the women harmonized. Both sexes danced. Live video of the event was displayed on a big screen TV behind the dancers. As he prepares for the next meet, Sam will be working on pushing forward from his right foot and leaning into his left hip, careful to lift his chest but not his left hip. All in all it was a very exciting and exhausting trip. After a few weeks rest, Sam and his coach will begin training and traveling to meets including, Arizona, Canada, and, possibly a trip to South America for the Pan Am games next fall. Congratulations to the Prep Team for going 3-0. Richie and Laura did a great job getting the kids ready and amped for the weekend. On the court, Joi, Matthew, Daniel, Isaiah, and Koda showed that they have not lost anything since last year’s National Championship. Ernesto made the most of his time on the court and probably became the most popular kid in the gym. The team played so well together. Koda ran the court with ease and the tandem of him and Isaiah was amazing to see. Joi has grown into a force on the court and Daniel and Matthew continue to spark the team with their energy. Again, congratulations to the Prep team. For the Varsity tournament, congratulations need to go out to the Rancho Renegades who came back form an early loss to defeat the Utah Jr. Wheelin’ Jazz in the finals to win the tournament and secure a spot in the National tournament in April. 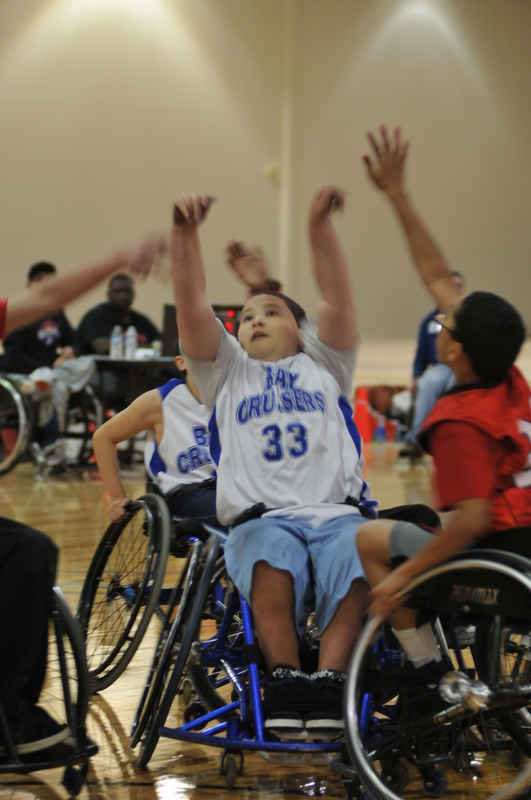 The Bay Cruisers started off with a bang with a convincing win over Phoenix. From the start, James and Koda swarmed the ball and denied Phoenix the opportunity to get it across halfcourt. As the game advanced, Phoenix made their runs but Mackenzie and Chris were able to answer, and Zach was able to shut down things down low and grab some huge rebounds. Rodolfo and Reajean gave great minutes and continue to get better each tournament. 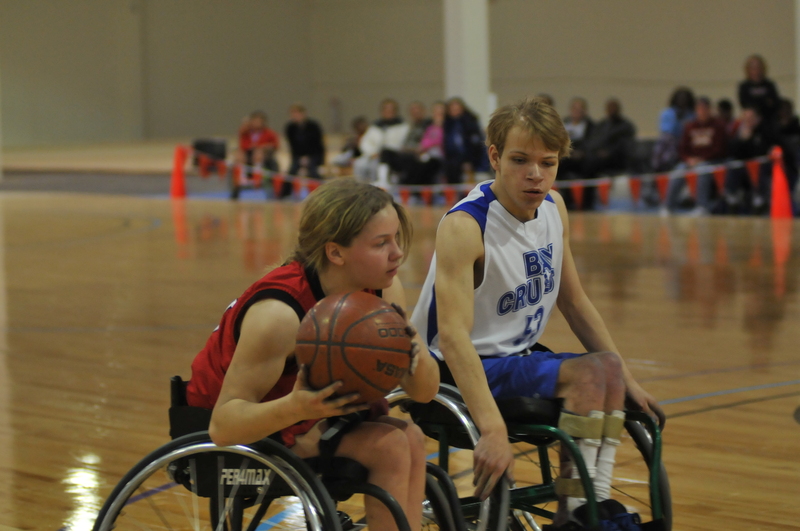 The next game was not as positive for the Cruisers. In all honesty, there are those games that just do not go how you expect them. Utah built a lead early and never turned back. The Cruisers made runs but could not match the team speed from Utah and the open shots simply did not fall for the kids. Next up – Rancho. The Cruisers came out early in the game and looked determined to get back on track. James continuously drove the ball, collapsing the defense and either making the lay-up, or finding an open teammate for a shot. Chris, Koda, and Mackenzie all added huge baskets at big moments to keep the game in check. Zach was able to use his speed to help shut down Rancho’s transition game and Rodolfo and Raejean continued to provide support off the bench. Unfortunately, Ranch proved to be too much and opened a double-digit lead in the 2nd half, never turning back. The loss eliminated the Cruisers for the cross-over round and the chance to advance to the finals. In the consolation game, the Cruisers faced San Diego in what turned out to be the most exciting game of the tournament. San Diego came into the tournament ranked 8th in the country but lost squeakers to Denver and Spokane to be eliminated. As the game opened, the teams traded buckets and you could tell the Cruisers were in a battle. San Diego had an advantage in team speed and decided to press. The Cruisers had trouble breaking the press and San Diego was able to extend the lead to 15 points. Finally, the team started realizing that they could match San Diego’s speed and started to break it down. James continued to drive past players for lay-ups and Zach and Chris started setting a wall of picks to break him free. As San Diego started shifting the defense to contain James, Mackenzie and Koda would be free and made San Diego pay. The Cruisers chipped away, slowly and methodically, closing the gap to 2 points within the last 30 seconds. With 15 seconds left, a foul put San Diego on the line shooting two. After missing both, the Cruisers ran the break to perfection, creating two picks and setting James free to run the court. With only 4 seconds left, James hit a lay-up to tie the game and send it into overtime. In Overtime, the Cruisers continued to use their momentum and energy and take the lead. With 2 minutes left in overtime, James fouled out. Rodolfo stepped up and played huge down low, allowing Koda and Chris to handle the ball. Zach and Mackenzie continued to deny anything that San Diego threw at them and the Cruisers were able to hang on and win by 4. 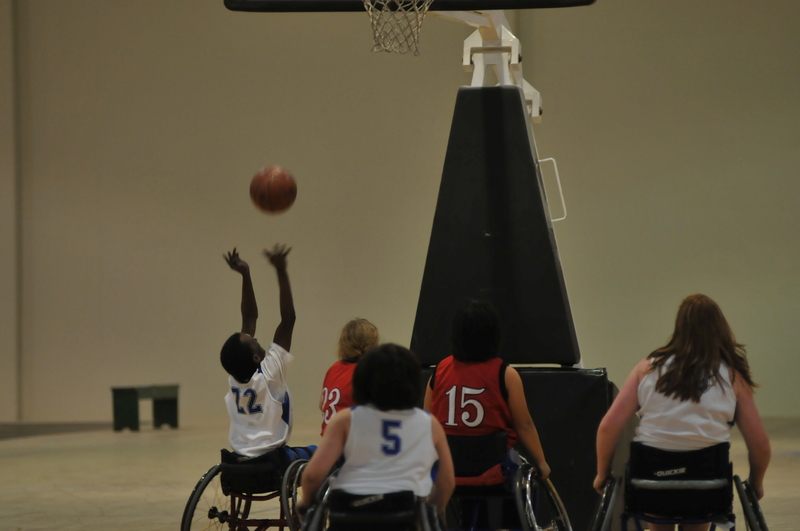 The tournament also included a Jr. All-Star game which matched two athletes from each team, selected by their coaches to play together for a change. For the Cruisers, James and Koda were selected to represent their team. James led all scorrers in his pool during the game, leading his team to an 8 pt. victory.